Citation: C N Trueman "Gottfried Feder"
Gottfried Feder was one of the original members of the German Workers’ Party – what was to become theNazi Party. Feder was part of the ‘Old Guard’ (Alte Kämpfer) and served as one of Adolf Hitler’s earliest economics advisor. While Feder was influential in the early days of the party, his influence waned once Hitler was appointed Chancellor on January 30th1933. Feder was born in Würzburg on January 27th 1883. He trained as an engineer and set up his own company. Feder worked in Bulgaria but settled in Munich where his company built aeroplane hangars. During this time he developed an interest in political economics. At the end of World War One Germany was economically ruined. Feder believed that this was because men in the financial markets based in Berlin had set interest rates too high and had starved the economy of money. These “manipulators of high finance” were the culprits of Germany’s woes as far as Feder was concerned and he became convinced that “interest slavery” had to be dealt with if Weimar Germany was going to rise up out of the economic ashes it was in. Feder did believe that capitalism as an economic theory was acceptable but that it was the men involved in capitalism that were to blame. Feder formed an organisation called the ‘German Alliance for the Destruction of Interest Slavery’. He initially tried to interest the head of the German Communists in Bavaria, Kurt Eisner, but to no avail. Feder then became acquainted with the German Workers’ Party. In May 1919 he gave a speech to the party’s members and one of those in the audience was Adolf Hitler. Hitler paid tribute to Feder in ‘Mein Kampf’ when he wrote that he was instantly sold on Feder’s economic beliefs. Feder believed that stock market gambling and a nation’s general economy should be kept separate so that if the former got into difficulties the latter would not suffer along with the nation’s population. Feder viewed stock markets dealings as part of international capitalism, which Hitler believed was controlled by international Jewry. Therefore what Feder believed and spoke about received Hitler’s support as it gave him the perfect stick with which to beat the Jews with regards to their perceived control of the world’s economy. Feder’s explanation of world capitalism allowed Hitler to blame all economic issues on world Jewry. As a result, once Hitler became the leader of the German Workers’ Party, Feder became his economic advisor. Feder was put in charge of the National Socialist Library. He became editor of ‘The Flame’, ‘The Fighter’ and ‘The Hesse Hammer’. He considered himself to be the party’s primary intellectual. After the Beer Hall Putsch and Hitler’s imprisonment, the Nazi Party fell into disarray. By the time Hitler was released, the party had drifted into two factions. The first centred on the Strasser brothers Otto and Gregorwho wanted the party to embrace urbanisation and socialism. The other centred on Feder who wanted the party to embrace rural life and populism. Hitler supported the Feder viewpoint and ‘Blood and Soil’ became part of the Nazi Party’s ideology. Hitler would not forget or forgive the Strasser’s and Gregor Strasser was one of the victims on the ‘Night of the Long Knives’ while Otto left Germany for his own safety. In 1924 Feder had been elected to the Reichstag. Few outside of the party listened with intent to his speeches on the economy – the Nazi Party was simply too small to have any impact. However, by 1930 there were 107 Nazi Deputies in the Reichstag and the party started to have more of a political clout. On October 14th 1930, Feder attempted to introduce a bill that would have frozen interest rates at 4% and removed all Jews from the German Stock Exchange and banking system. Feder also wanted to break up the large estates in Eastern Germany and create a belt of thousands of small farms in Eastern Germany. In the early 1930’s Hitler knew that he had to bring the very rich industrialists and land owners of Germany on to the side of the Nazi Party – or at least a large number of them. Feder’s idea for the break-up of landed estates hardly helped this and Hitler started to distance himself from the man who had been his first economics advisor. 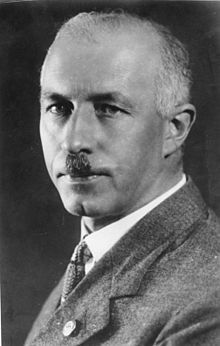 Dr Hjalmar Schacht became more and more influential on the future Führer and convinced Hitler that Feder’s plan would bankrupt the nation. Hitler needed the support – and the money – of men such as Gustav Krupp and Fritz Thyssen who would hardly have been enamoured by Feder’s statements about how the Nazi’s economic policy should develop. Hitler dropped his support for Feder’s “old-fashioned ideas”. On January 30th 1933, Hitler was appointed Chancellor and as a result could appoint his own cabinet. Feder was appointed an Undersecretary in the Reich Ministry of Economics – a relatively minor position and one that did not satisfy Feder’s ambitions. Feder sealed his political fate when he tried to sell his idea of ‘rurbanisation’ – surrounding large cities with thousands of small farms that would produce for their nearest cities. Farming organisations derided the idea and Feder resigned from the Reich Ministry of Economics and took up a lecturing position in Berlin. He was allowed to live out his life without any form of harassment from the Nazi Party. Gottfried Feder died on September 24th 1941.